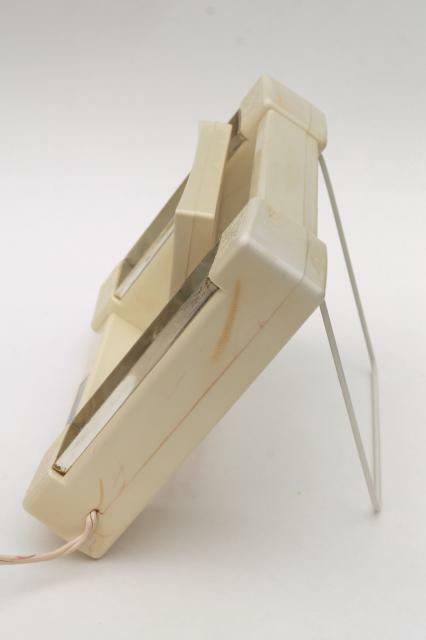 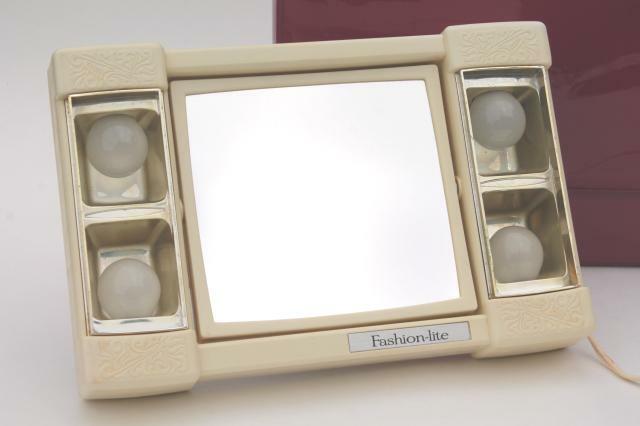 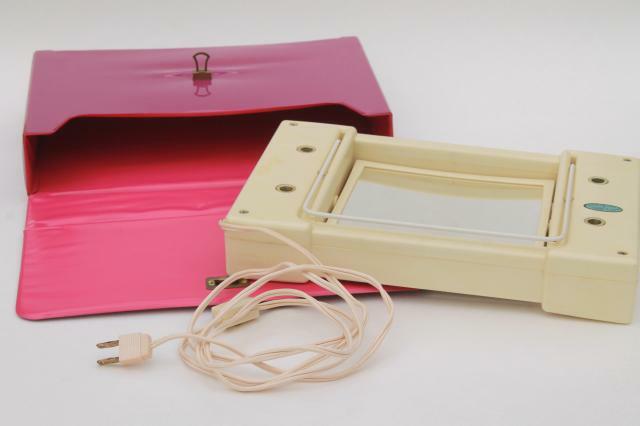 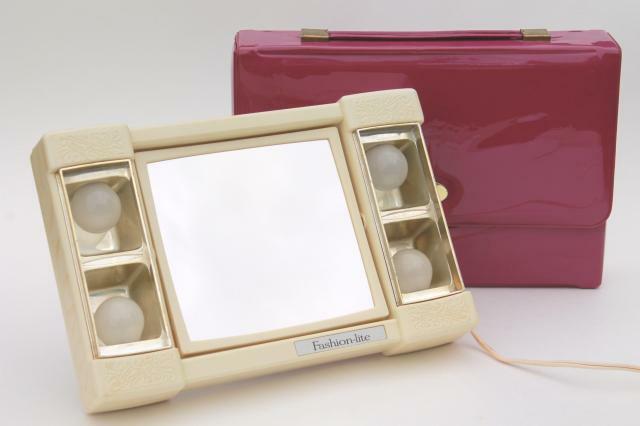 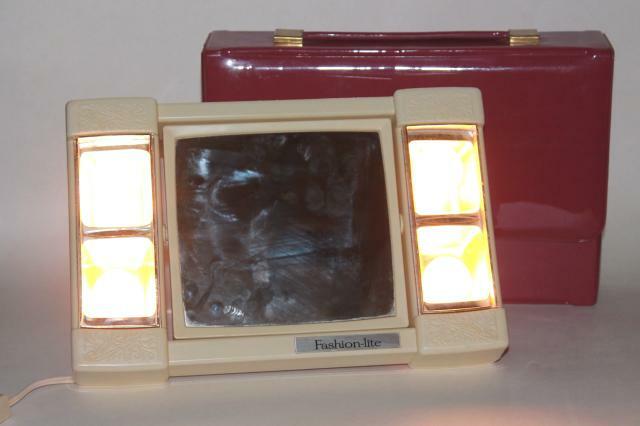 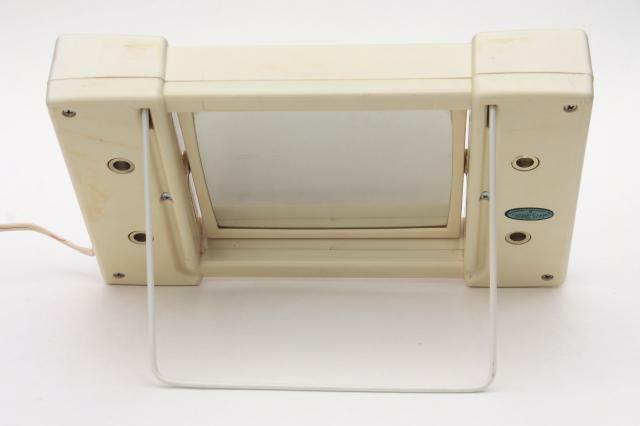 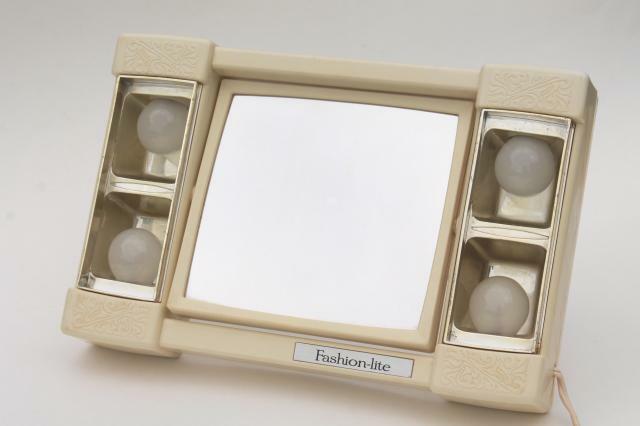 80s vintage Fashion-Lite vanity mirror with working electric lights, magnifying and regular mirrors. 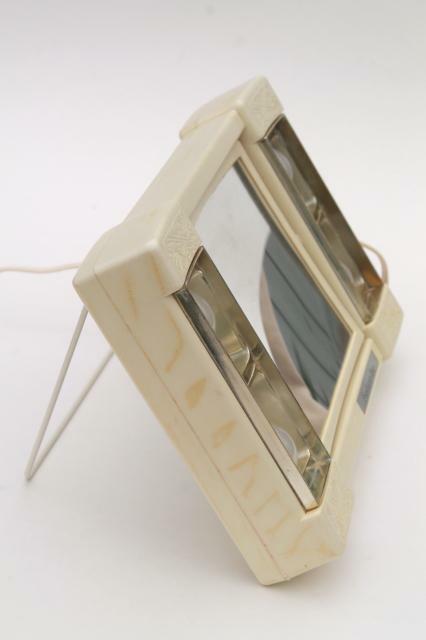 The mirror frame is about 6" x 6", and the whole thing measures about 11 1/2" x 7 3/4" overall. 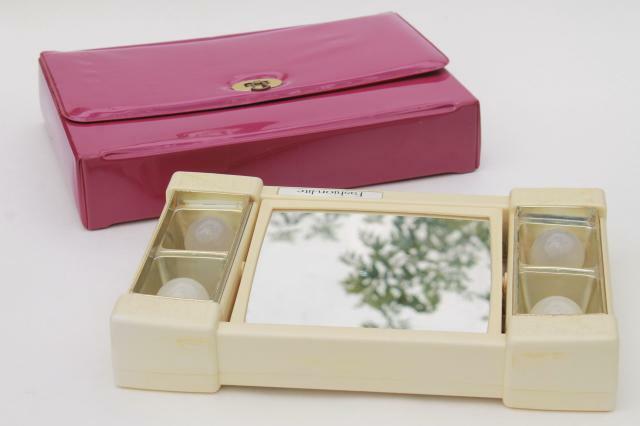 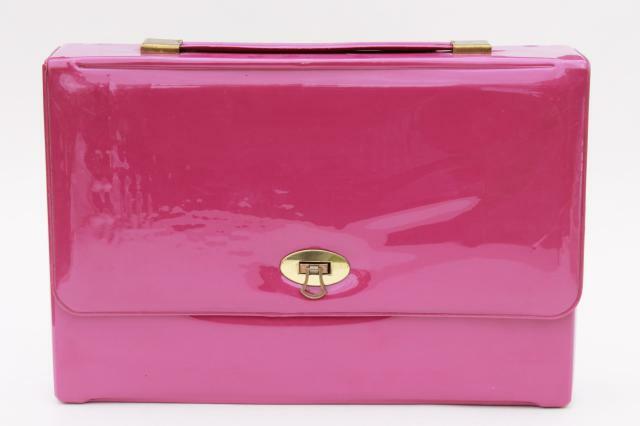 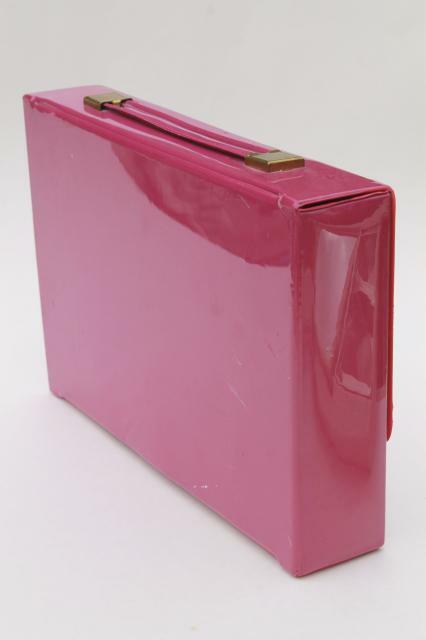 It's in good clean condition, gently used, still has the original soft plastic travel case.